Improved Way To Burn Your Favourite Scent--No need to light the candle. 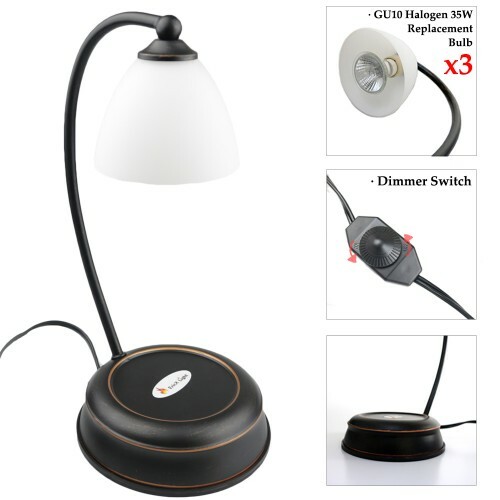 When plugged into electricity, the light will give off heat and melt the candle, making the candle smell better. 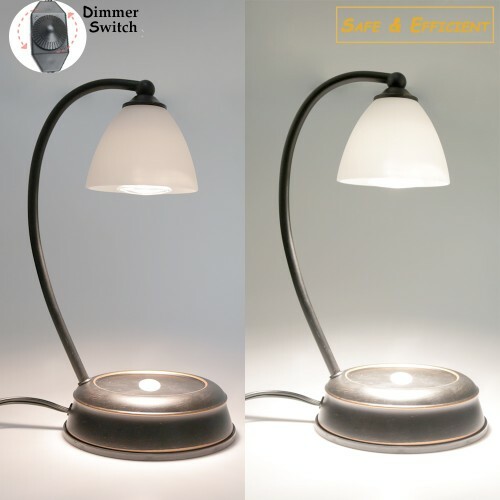 Specialized & Humanistic Design—EricX Light Candle Warmer is equipped with a adjustable dimmer switch, the brightness and heat of the candle warmer lamp can be adjusted. 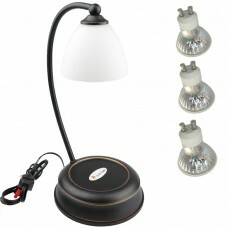 Candle Warmer Lamp use GU10 35W Halogen Replacement Bulbs. 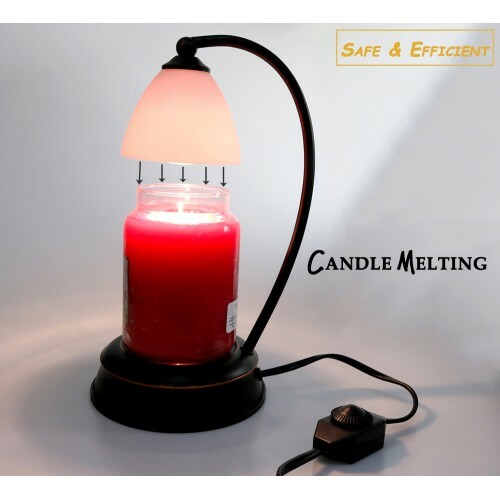 It can melt the candle efficiently. 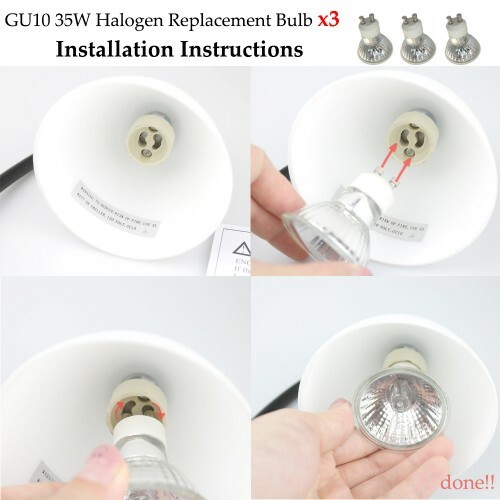 3 bulbs included. Suitable For Most Of The Bottle Candles--It melts the candle from the top, so the scent is released instantly after the warmer being turned on. Ideal for use with non-lit candles that are in glass jars or metal containers. 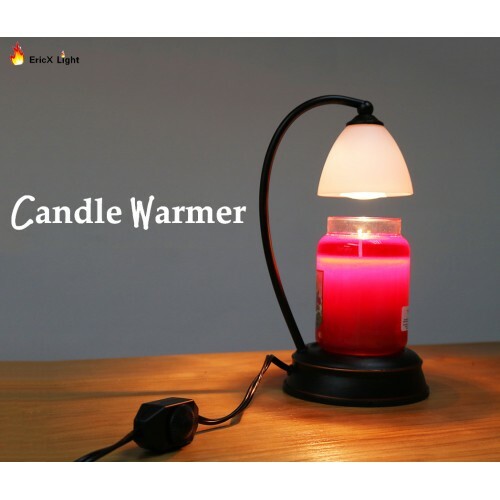 Perfect Size For Your Corner—EricX Light Candle Warmer is designed to perfectly fit your tables, you can place it on almost any flat surface. 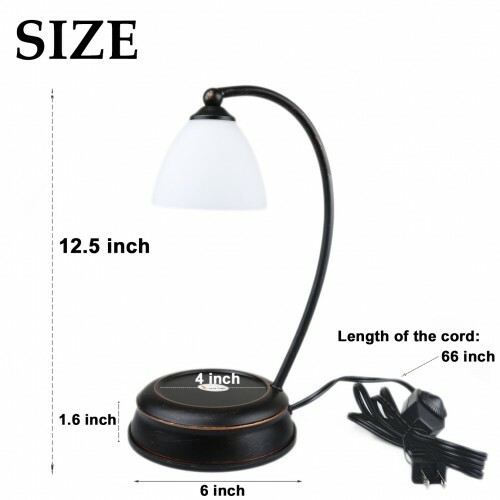 It is 12.5 inch by height, 1.6 inch by base’s height, 6 inch by base’s diameter, and 66 inch by length of the cord.